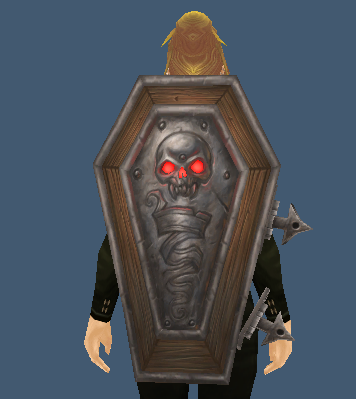 This shield only drops of the final boss in Trial of the Crusader with an 8% drop rate. This is restricted to Horde and will change to Bulwark of the Royal Guard if you faction transfer. This entry was posted in Shields, Trial of the Crusader and tagged BOP, shield, TOC, Trial of the Crusader. Bookmark the permalink.